Help us make the Pennsylvania Promise a promise fulfilled. 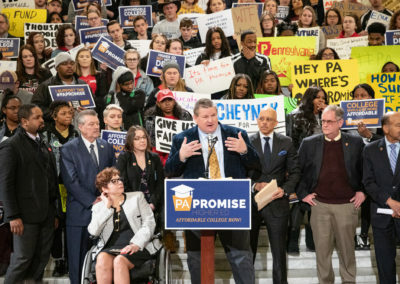 Contact your legislators and tell them to support Pennsylvania Promise. 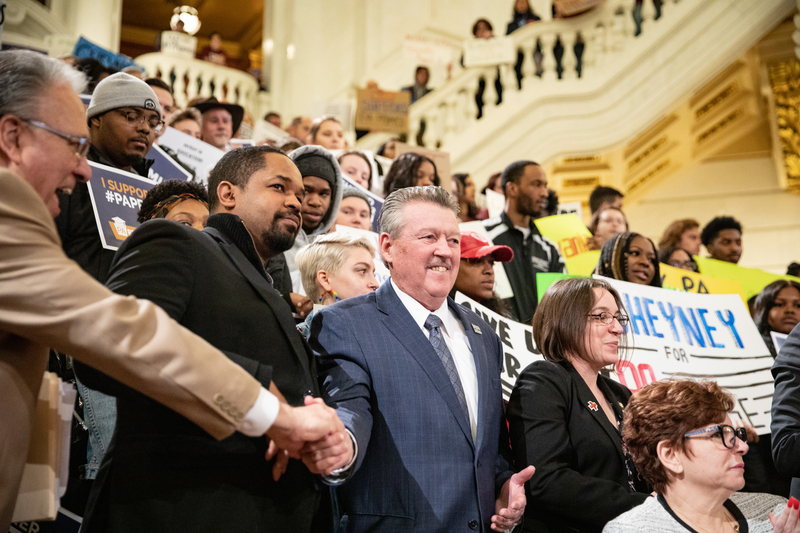 (Click here to look up your elected officials.) Not sure what to say? Click here for sample messages. 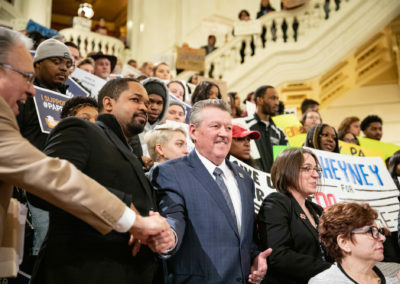 Sign our petition calling for Gov. 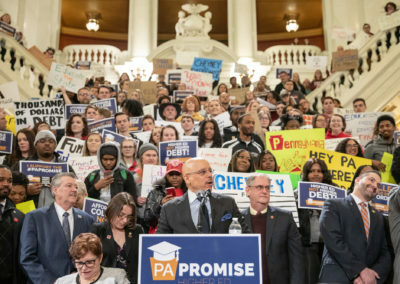 Tom Wolf to support Pennsylvania Promise legislation. 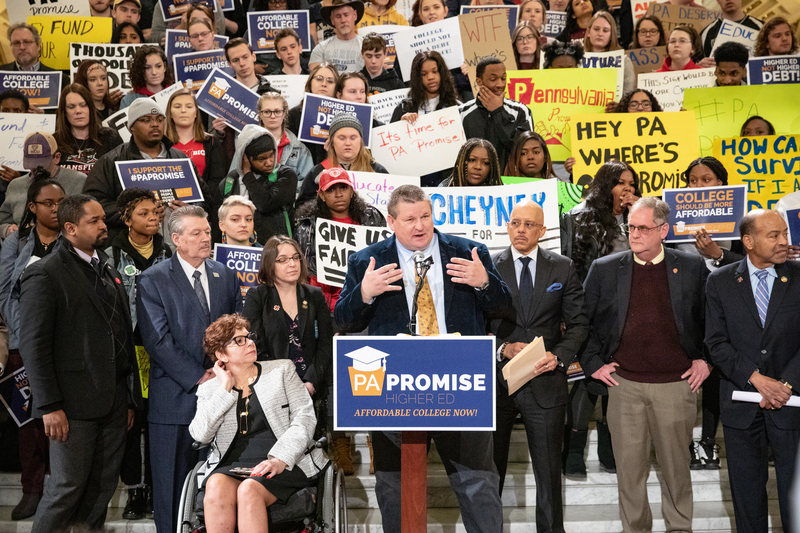 Spread the positive message about Pennsylvania Promise on Facebook, Twitter, and Instagram using #PApromise. You can even add a #PApromise overlay to your Facebook profile photo. 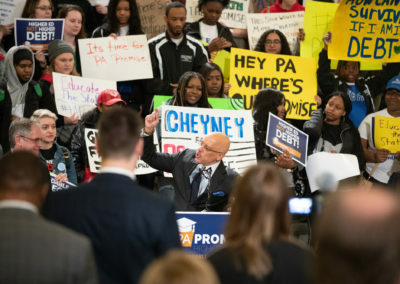 Attend a Pennsylvania Promise rally. 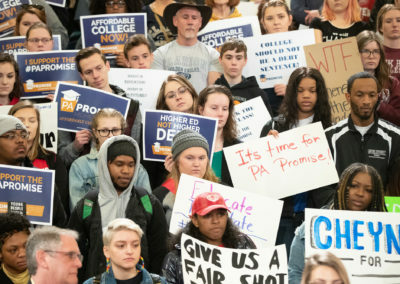 Organize your own rally or house party. 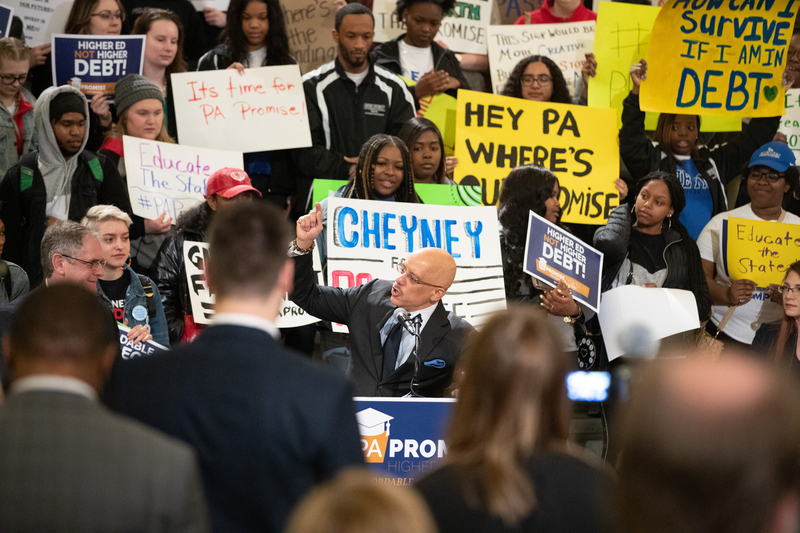 Email info@PApromise.org to get started. Share your higher-education story. Click here to submit information. Give. 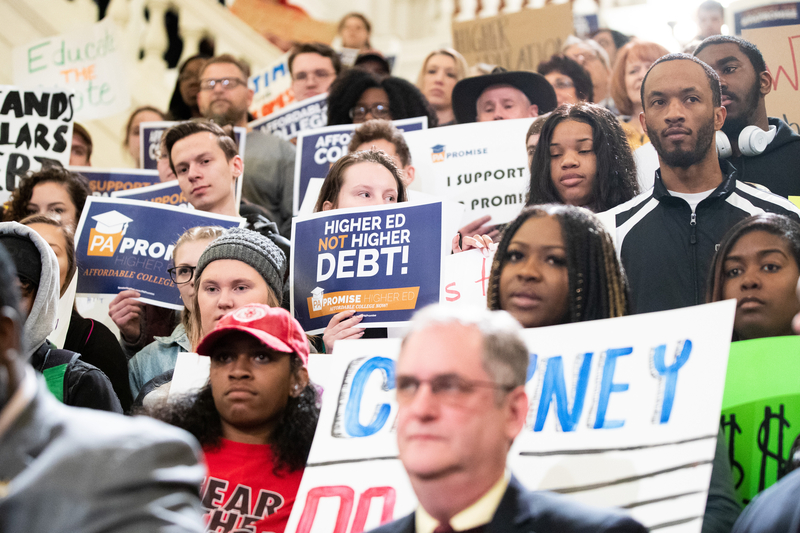 Whether you can contribute $1 or $1,000, you can help make higher education affordable in Pennsylvania. 36% of students don't know where there next meal will come from. 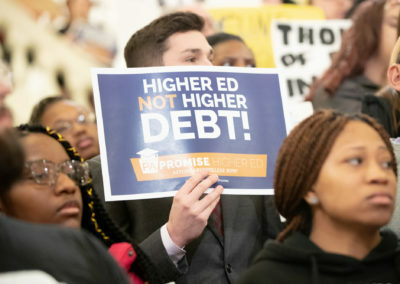 One in four community college students are hungry. In the past year, 12% of community college students and 9% of university students have slept in shelters. 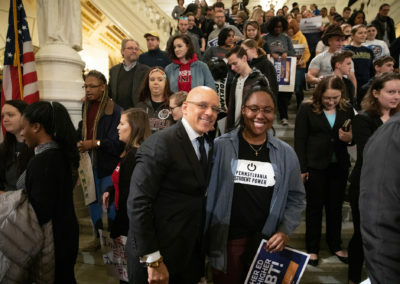 LGBTQ and African American students are more likely to be food and housing insecure. 56% of all first-generation students are food insecure. 57% of black students report food insecurity. 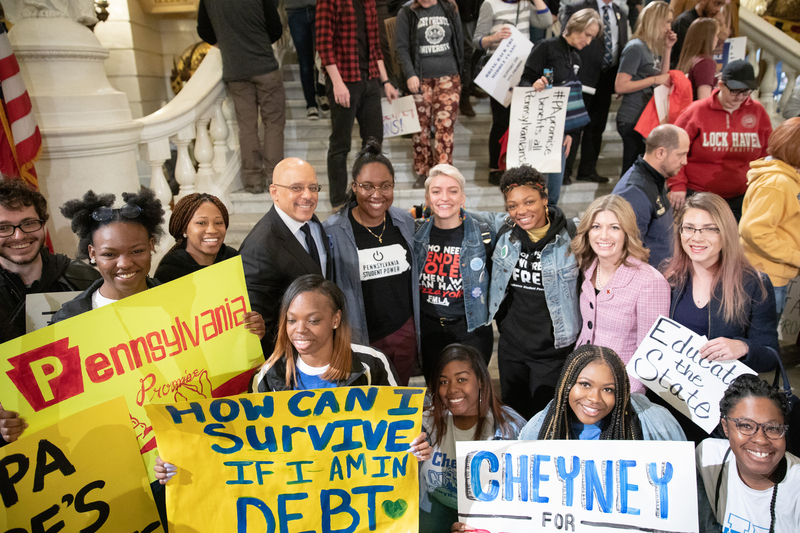 Credit can be a lifeline during emergencies and a bridge to education and homeownership. 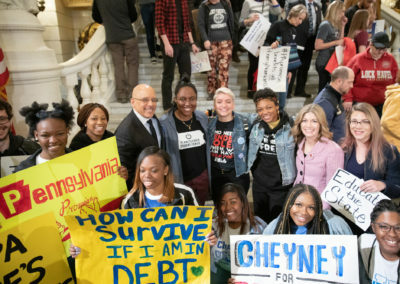 But debt, which can stem from credit or unpaid bills, often burdens families and communities and exacerbates wealth inequality. This map shows the geography of debt in America at the national, state, and county levels. How does your community compare? Paying for college tuition and the textbooks and materials needed for classes can be hard enough. 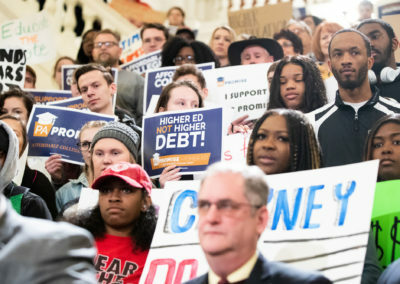 Whether you attend college part time or full time or go to community college or a university, it can be difficult to scrape together money for food and housing. Add on trying to maintain a social life and it can feel downright impossible. 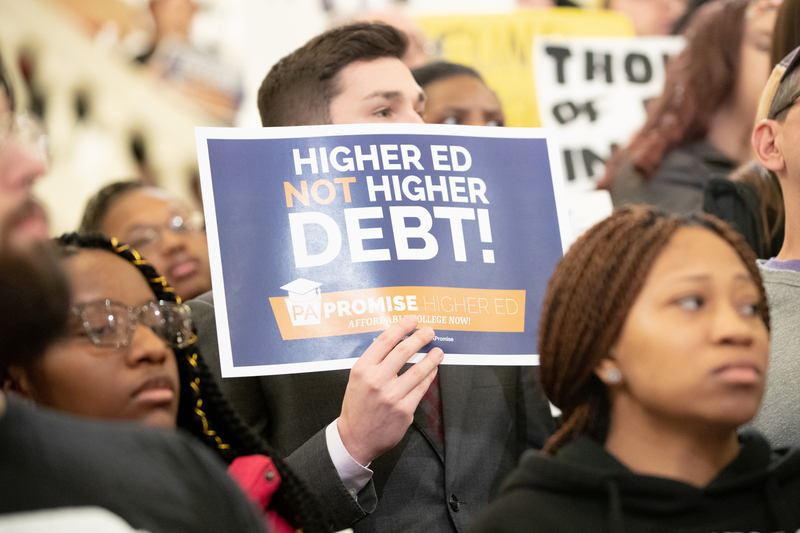 However, there hasn’t been much comprehensive data about just how much food insecurity, housing insecurity, and homelessness affect college students nationwide. 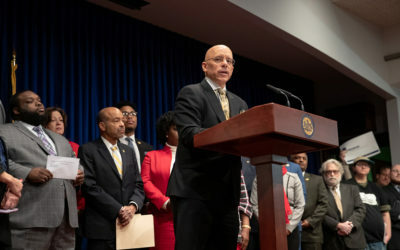 Caleb Torres lost seven pounds his freshman year of college — and not because he didn’t like the food in the dining hall. 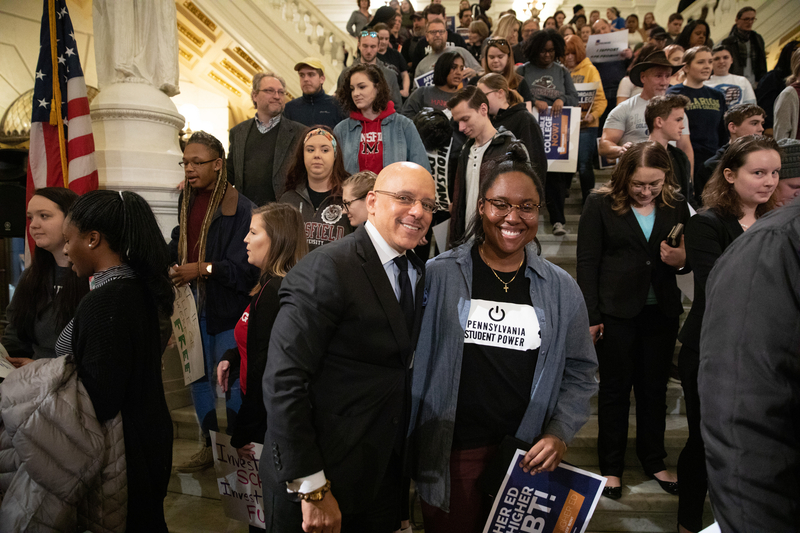 A first-generation college student, barely covering tuition, Torres ran out of grocery money halfway through the year and began skipping meals as a result. He’d stretch a can of SpaghettiOs over an entire day. Or he’d scout George Washington University campus for events that promised free lunch or snacks. Torres told no one what he was going through, least of all his single mom. 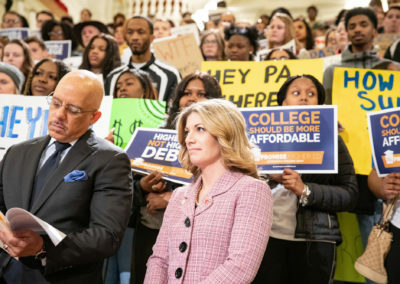 The bills aim to make higher education free or affordable at public community colleges, Pennsylvania’s State System of Higher Education (PASSHE) and state-related universities that receive state funding. 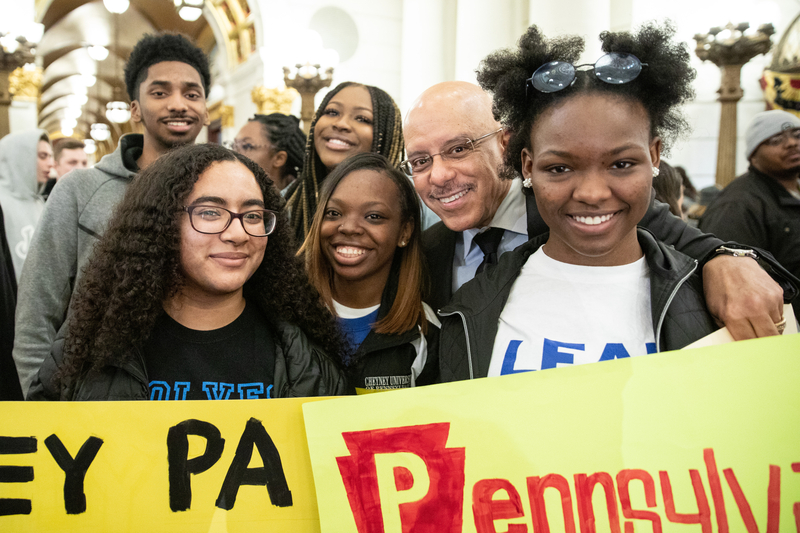 Pennsylvania Promise would be available to recent high school graduates as well adults seeking in-demand skills and industry-recognized credentials, as well as college credit. 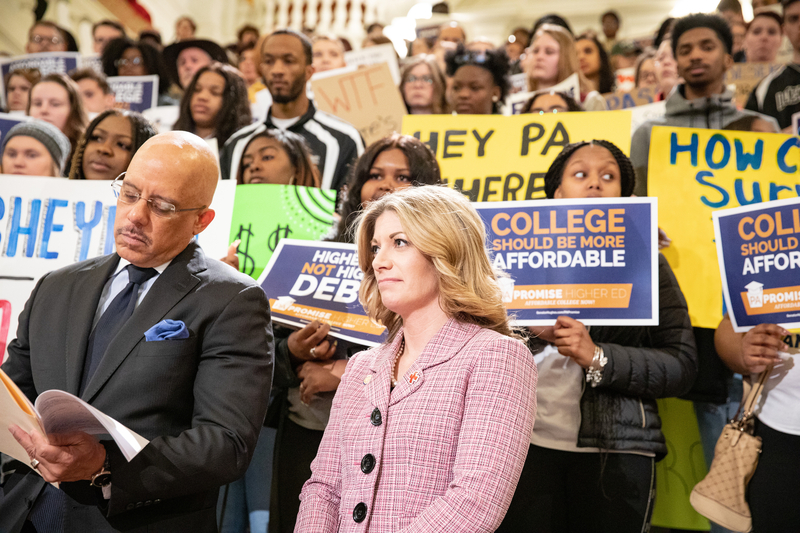 The goal of the program is to reduce student debt and assist low and middle-income families with paying for higher education. 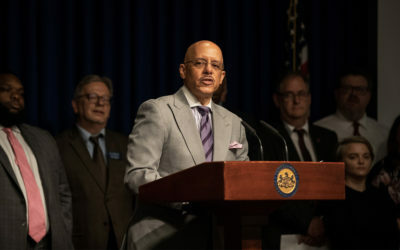 Research estimates that by 2020, 63 percent of new jobs in Pennsylvania will require some level of higher education. 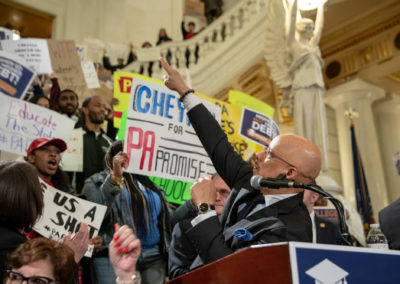 Currently only 40 percent of Pennsylvania residents have a higher education degree. 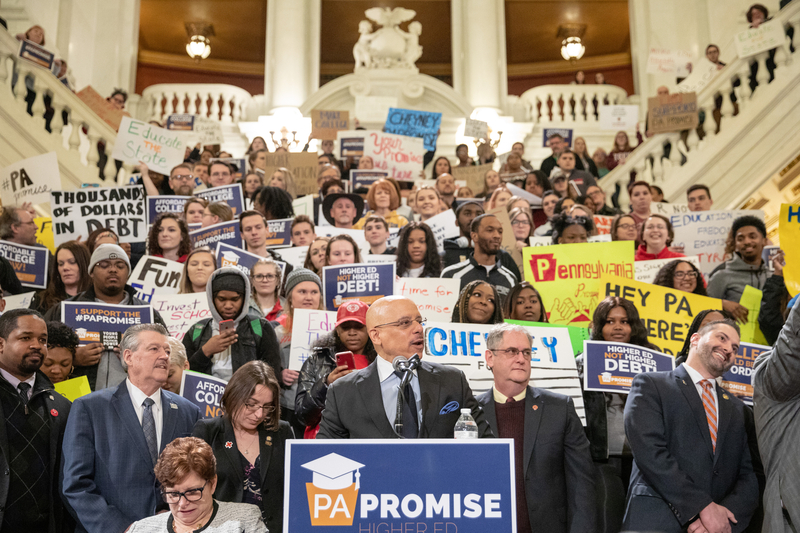 This proposal is in line with what New York, Tennessee and Oregon have done and can reduce debt for Pennsylvania students. 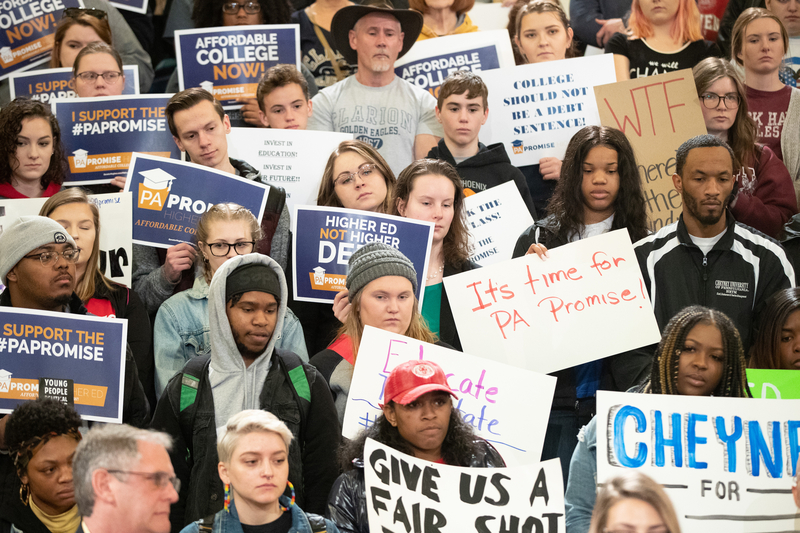 In 2008, students and families paid approximately 36 percent of the cost of public college, by 2014 they paid approximately 50 percent.